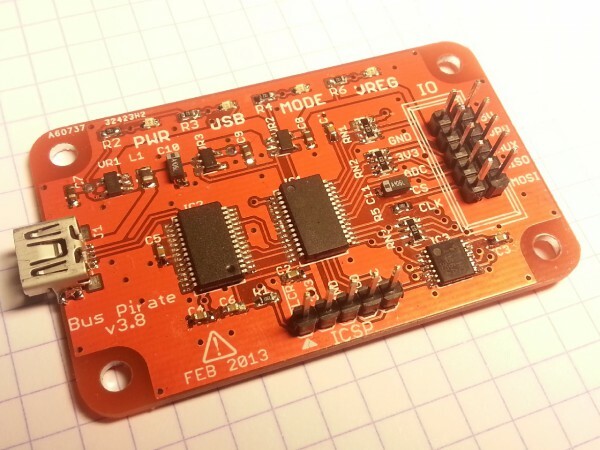 xStouf built a free Bus Pirate v3.8 PCB. The Bus Pirate is an open source hacker multi-tool that talks to electronic stuff. This entry was posted on Tuesday, February 3rd, 2015 at 2:11 pm	and is filed under builds. You can follow any responses to this entry through the RSS 2.0 feed. You can skip to the end and leave a response. Pinging is currently not allowed. Well then enter the free PCB here on the blog each Sunday and you might be able to get one. You can also enter via Facebook on a Friday or Twitter on a Tuesday. I want to make good PCB, I have a ARM mega2560, but the deal is: I built the PCB whit ink right, you now conductive ink, but the mega2560 is surface, the ink and thar kind of pcb works well with ink?